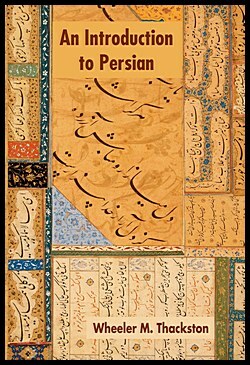 An Introduction to Persian serves as an introduction to the modern Persian language. Each lesson provides specific exercises and drills for the major grammatical and syntactical points. Vocabulary lists are also scattered throughout the book. In part two of the grammar, the outstanding differences between modern and classical usage are given. In part three the distinguishing features of ordinary colloquial Persian are given. This is the academic standard for most Persian programs in the United States, it is a quality book that explains the grammar and the structure of the language. 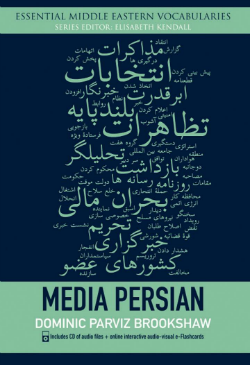 A great resource to acquaint yourself with the language and format used in higher level media and news resources, Media Persian includes links to online audio files and interactive audio-visual e-Flashcards. It is divided into 13 key areas: General; Politics and Government; Elections; Conflict and Security; Law and Order; Human Rights; Economics; Trade and Industry; Science and Technology; Energy; Environment; Aid and Development; Culture and Sport. 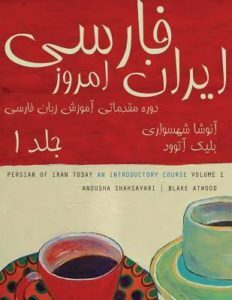 Persian of Iran Today is a two-part introductory Persian language textbook that draws on the latest trends in language pedagogy and interweaves grammar- and vocabulary-building exercises with narrative elements to engage and develop language abilities. This resource gives equal weight to the development of reading, writing, listening, and speaking, and encourages students to use and create with the language from the very beginning. 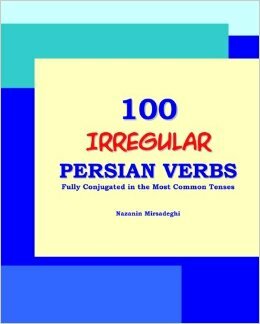 This book is designed to be used as a quick and easy way to find ‎the full conjunction of some essential irregular Persian verbs. 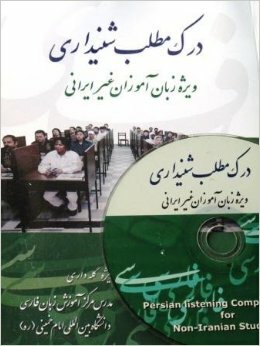 In order to ‎use this book effectively, you must be able to read and write in Persian, ‎and be familiar with the grammar and the basic structure of the Persian ‎language. A practical way of learning modern Persian, this book builds listening skills with exercises aiding beginners and advanced linguists alike. This resource comes highly recommended by CLM's language mentors. This workbook is designed for use by non-native learners of the Persian language. It is intended for beginners who seek to learn the Persian alphabet and script. 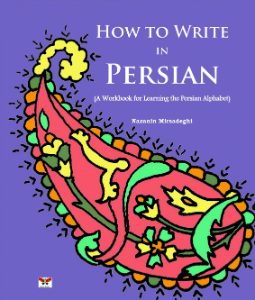 Using visual directions and exercises, the workbook helps the reader overcome some of the difficulties associated with the process of learning the Persian script. Bahar Books publishes books for Persian speakers living outside Iran, and for non-Persians interested in learning the Persian language.